The month of July marks the sixth and final month of our second project for our international online cooking group, The Cottage Cooking Club. We cooked our way through a wonderful, family-friendly cookbook written by Hugh Fearnley-Whittingstall, entitled „River Cottage Every Day". And the optional „Love your Leftovers“ by the same author. This month I prepared five recipes from River Cottage Every Day. I will write about each dish in the order in which I prepared them. The first recipe for my July post is the Smoked Salmon and Scrambled Eggs on Toast (page 58) from the chapter Making Breakfast. To this recipe I chose to add fresh Broad Beans with Garden Herbs & Spring Onions - I really love the combination of scrambled eggs and smoked salmon - who doesn´t - but it is even better with those lovely, seasonal broad beans. That´s all I want for breakfast or even lunch. The second recipe was the Genoise Sponge Cake (page 372) from the chapter Treats. A really nice way to celebrate the delicious end to another chapter of our Cottage Cooking Club adventures. And, may I add, a really useful recipe to have in your repertoire. Easy. Summertime treat. Perfect for a July day. Lastly I made the always useful Ten-minute Vegetable Stock (page 166) for the delicious Potato and Fennel Soup (page 268), both from the chapter Vegetables Galore. The combination of flavors - fennel and potatoes - prompted one of my trusted taste testers to burst out "this is my new favorite creamy soup". Truth is, this is a great combination and a reccuring theme in Hugh´s books which we really enjoy. The weather has been more than fallish on some days, so a creamy soup was not out of place in July. To this creamy soup I not only added some Caramelized Fennel but also the Parsley and Pumpkin Seed Pesto (page 132) from the chapter Weekday Lunch. I much prefer pumpkin seeds in my pesto than pine nuts - we get these amazingly delicious and very healthy dark green Styrian pumkin seeds here that I love to cook and bake with. So, I did not hestitate to make this pesto when I saw Hugh´s recipe. There are so many ideas for leftover pesto - spread it, smear it, drizzle it, pour it or use it as a dip, pesto is so much more than a pasta sauce and there are so many ways to make the most of it. There are also so many varieties and this one with pumpkin seeds, garlic, parsley, olive oil, Parmesan, sea salt, black pepper and freshly squeezed lemon juice is pretty delicious. 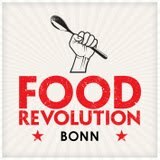 Please note, that for copyright reasons, we do NOT publish the recipes. If you enjoyed the recipes in our series, hopefully, the very talented and enthusiastic members of #The Cottage Cooking Club and their wonderful posts convinced you to get a copy of this lovely book or both books. 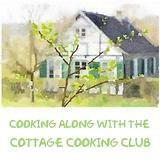 To see how wonderful all the dishes from my fellow Cottage Cooking Club members turned out this month, please make sure to take a look at their personal links and to do so, just visit here. If you have followed me along for a while, you might have noticed that visiting a Pottery Market is one of the great joys in life for me. I love looking at the many wares on display. I enjoy chatting to the various artists and potters about their inspiration for a certain color or a unique design. I take great joy in imagining different foods on and in all those handcrafted plates and bowls. The interaction, if I may call it that way, of food and pottery is rather unique and, to me, absolutely fascinating. So, yesterday we visited a wonderful pottery market in the City of Siegburg (Germany) – once a year, in July, ceramic artists and potters from different countries will display their craft to an interested audience – there is always a good mix of everyday pottery and more artistic pieces. In my view, that is a pretty good balance. This year I chose to buy a few complementary pieces from a Dutch pottery called De Rode Scherf from the well-known City of Delft (for more info about the artist, pls visit here). Last year I bought a small bowl with birds, this year I bought small plates and two more bowls – this time with roses - all pieces match so well. And I am already looking forward to seeing more of their exquisite pottery come September. After our visit to the pottery market, I felt like taking pictures right away. The sun was out and we were still short of any dessert that day. A bit short on time and energy, I decided to bake some lovely Palmiers, one of my very favorite cookies. Palmiers are a classic French cookie. They are fabulous sweet, crisp, airy cookies made of nothing more than buttery, flaky puff pastry and granulated sugar plus, in my case, a bit of cinnamon. Roll out the pastry, shape, slice and bake. It’s that simple. The magic happens in the oven – the sugar caramelizes, and the pastry puffs up into an elegant dual spiral shape, resulting in a palm-like shape that has given them their name. They might be simple to prepare, but these crisp delicacies look rather elegant. For the sugar, I use superfine aka caster sugar but if you prefer the crunch and flavor of specialty sugars, you can substitute demerara or another coarse-grained sugar. Brown sugar or granulated sugar also work just fine but make a sweeter palmier. Take a sheet of ready-rolled all butter puff pastry and unroll, leaving it on the paper. Mix the sugar and cinnamon (if using) together in a bowl, then sprinkle over the pastry to lightly cover. Make sure your filling reaches all the corners of the pastry. Roll it gently onto the pastry sheet with a rolling pin to help it stick. Starting from one of the long edges, roll the pastry up tightly to the centre then repeat from the other side. Roll up the pastry in its original paper to help with definition. Chill before baking to ensure the palmiers hold their shape. If you are short of time, place them in the freezer for 20 minutes. Flour your knife and cut the pastry roll into slices just thinner than 1cm (1/2 in). Arrange on a parchment-lined baking sheet leaving a slight gap in between for the pastries to expand. Cook on a high shelf in your pre-heated oven for 12 to 15 minutes - or until the pastry is crisp, golden and caramelized. Use a palette knife to ease the palmiers off the baking parchment and let cool on rack. Serve with pots of tea or cups of coffee or whatever strikes your fancy. These cookies are really nice treats – very easy to make, but looking very sophisticated. Handy for those times when you want something fancy, but don’t have the time or inclination to put in a lot of work. These can also be varied to include a bit of different spice with the sugar (nutmeg, cardamom), just sugar no spice or make savory versions using pesto, tapenade or grated cheese such as Parmiggiano Reggiano in place of the sugar. I must say that I was rather pleased with the way my French Palmiers looked liked when I served them in these lovely bowls - pottery market visits are a great way to spend a Sunday and get a lot of inspiration.